The New York Film Academy (NYFA) released its original Gender Inequality in Film infographic in 2013. 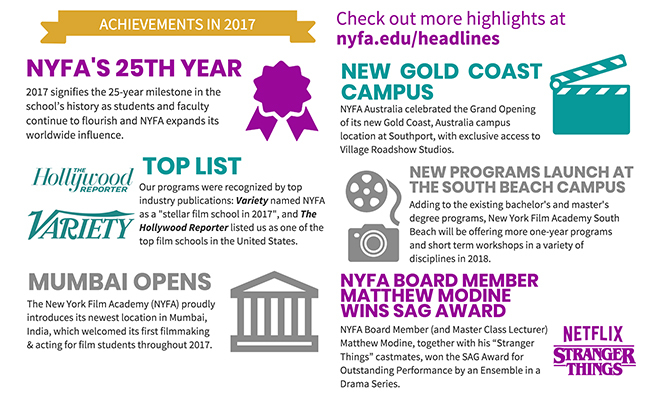 Now, following the TIME’S UP™ movement and actress Frances McDormand’s impassioned call at the 90th Academy Awards for the industry to embrace Inclusion Riders, NYFA’s updated Gender Inequality in Film infographic presents research on gender in film from 2007 to 2017, from more than 40 sources and scholarly studies. Throughout Women’s History Month in March, NYFA will be highlighting different aspects of the data in this infographic as a four-part series. This is part one, and reveals the full, updated infographic. Stay tuned for more! 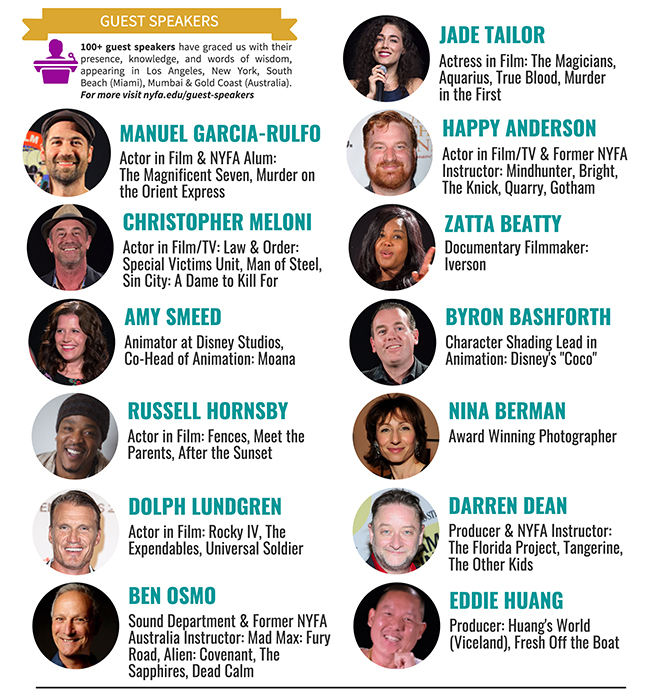 To further support the conversation around gender inequality in film, NYFA will also host events throughout Women’s History Month, with a focus on International Women’s Day on March 8. For more information, click here. Has Female Equality in Hollywood Progressed in 2014? FILM: To Keep Kids on Drugs? After the overwhelming response from the New York Film Academy’s infographic on gender inequality in film, we decided to touch on another film related topic that deserves a similar debate. Do movies and television influence drug use? Through a narrated videographic, the New York Film Academy brings viewers on a journey through the years, analyzing how film and television has shaped our perception of drugs, as well as its possible effects on the viewing audience. Enjoy our video below and let us know what you think in the comments below! As long as there have been movies, drugs have played a part in them. In the below infographic, we look at how culture and narcotics laws have shaped portrayals of drugs in movies, but also at how film has shaped society’s behavior with drugs. The frequency in which drugs have appeared in film has risen and fallen over the years, only to explode in the past fifteen years at a time when drug use in the U.S. is on the rise as well. In the below infographic, we take an overview of the significant moments—in film, society, and the law—and stats to gain a better understanding of just how intertwined drugs and cinema are. 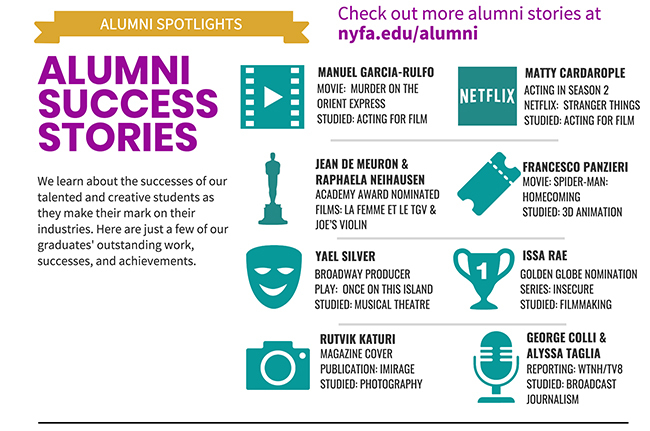 This infographic originally appeared on NYFA’s Student Resources section. For this Halloween, we decided to take a look at some of the more legendary deaths in the horror genre, creating a choose-your-own-adventure style game where you can pick between two paths to see how you would most likely die in a horror movie. Of course, this is all in fun and while we don’t expect you to be in the shower while playing along, we wanted to create a fun exercise that would guide you through the iconic deaths of horror while poking a little fun at the genre’s more predictable impulses. So get started on your horror journey and once you meet your grisly end, be sure to share with us on social media or the comments below the details of #HowIDied. Simply put, 2013 was a monumental year in Black cinema with hits like Lee Daniel’s The Butler and The Best Man Holiday and critical darlings such as Fruitvale Station and 12 Years A Slave. However, this is hardly the first time that we’ve seen a glut of diverse and accomplished Black filmmakers emerge, only for Hollywood studios to return to putting out the obligatory two to four films per year aimed at African-American audiences. As the filmmaker Ava DuVernay has stated, “The Hollywood machine has selective amnesia. 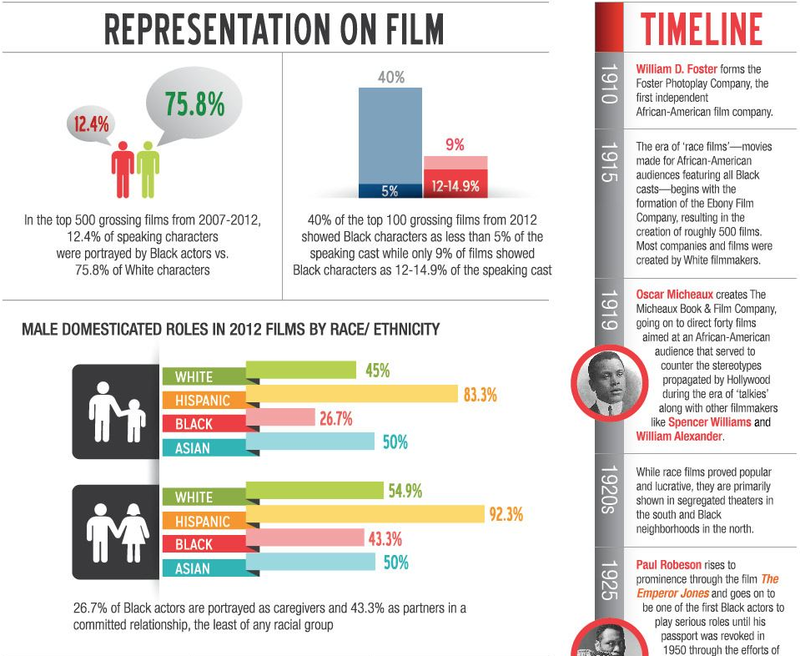 It’s not like we haven’t gone through a season of robust black image makers before.” In the Black Inequality in Film infographic, the New York Film Academy has charted the history of Black film over the past century while analyzing more recent statistics to assess how Black filmmakers and performers have been represented on screen and behind the camera during the last six years. By classifying “Black Film,” we are referring to movies where the plot revolves around lead characters who are of African descent. The purpose of this infographic is to present some talking points to initiate a discussion on the role of African Americans in Hollywood. Click on the image below to view the entire infographic. To view the updated Gender Inequality in Film infographic released in 2018, click the banner above. In light of the record-breaking opening of the female-led action film Hunger Games: Catching Fire this past weekend, the New York Film Academy decided to take a closer look at women in film and what, if any, advancements women are making. After reviewing the data, it is clear that Hollywood remains stuck in its gender bias. Of course, it’s not all disparaging news and there are a number of female filmmakers, characters, and emerging talent challenging the status quo. In addition, in the independent sphere, women made up roughly half of the directors at this year’s Sundance Film Festival, yet still struggle when it comes to films receiving a wide release. By shedding light on gender inequality in film, we hope to start a discussion about what can be done to increase women’s exposure and power in big-budget films.